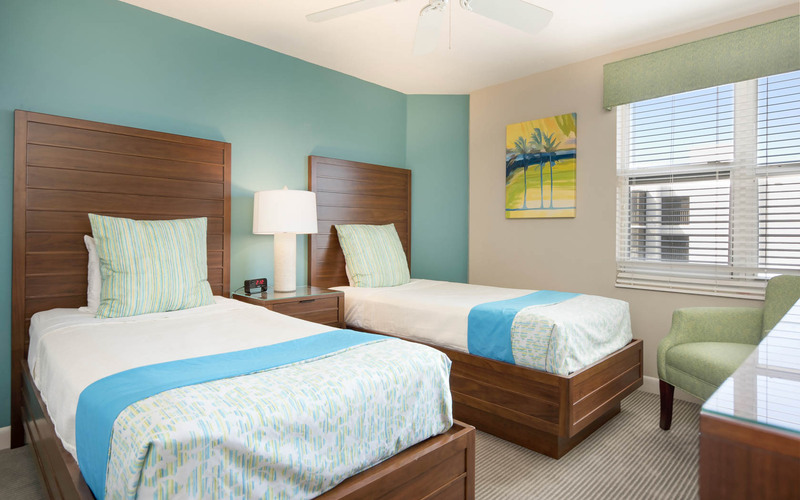 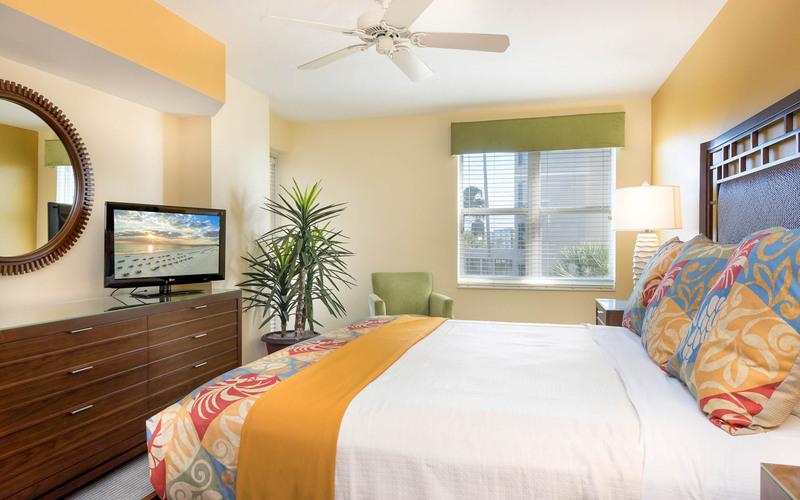 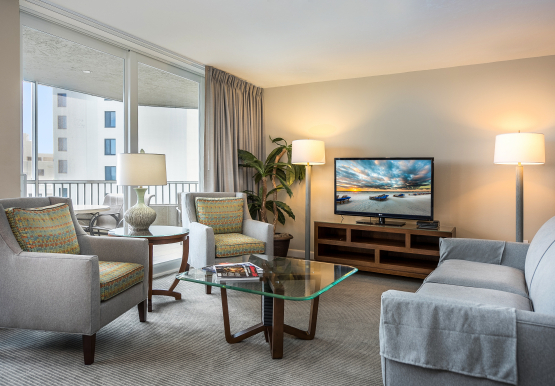 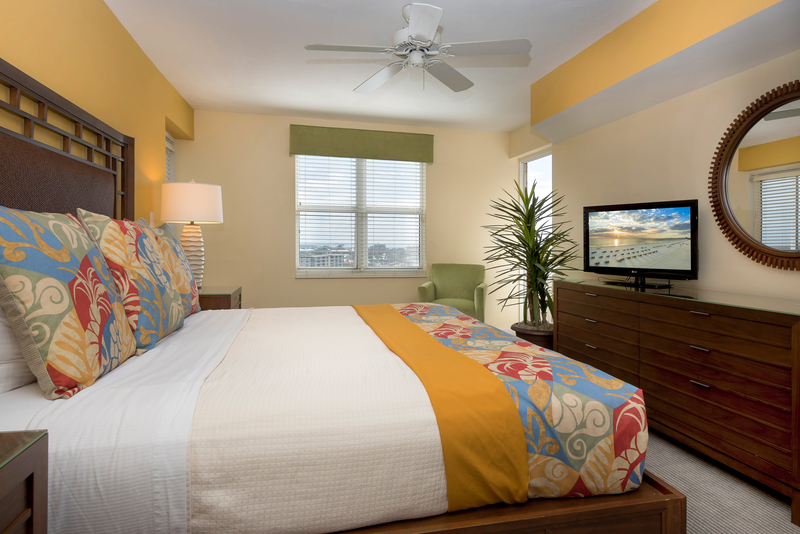 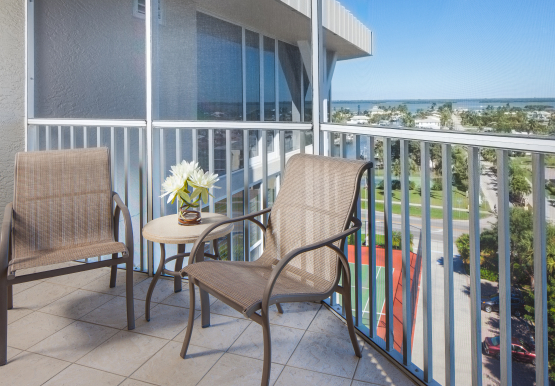 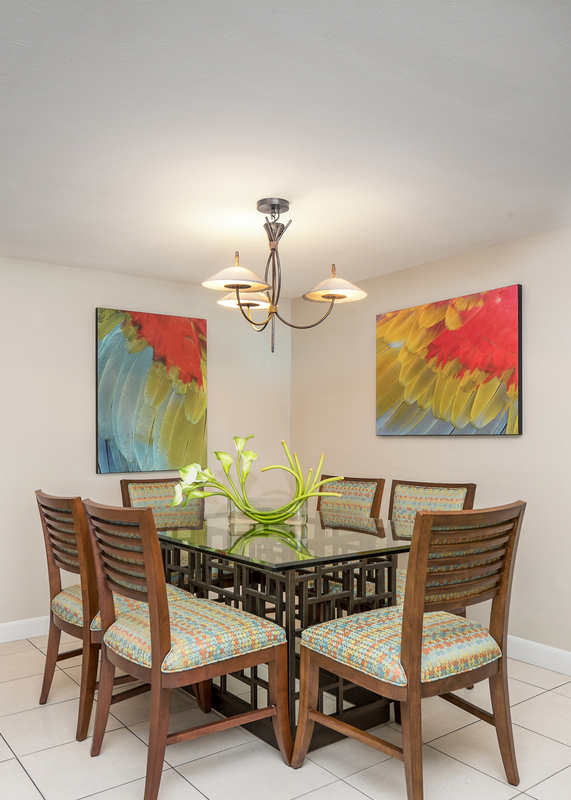 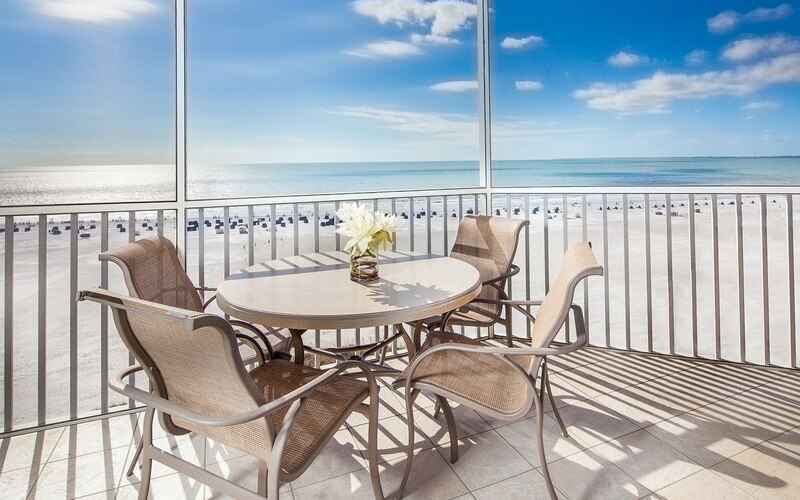 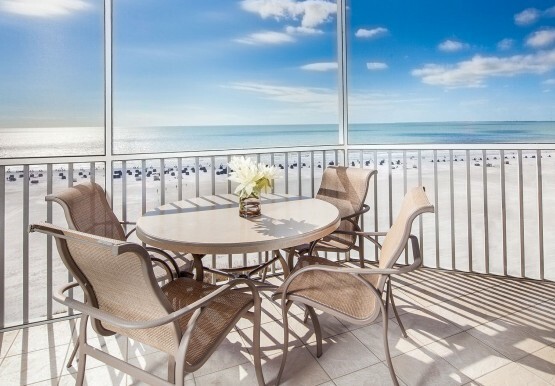 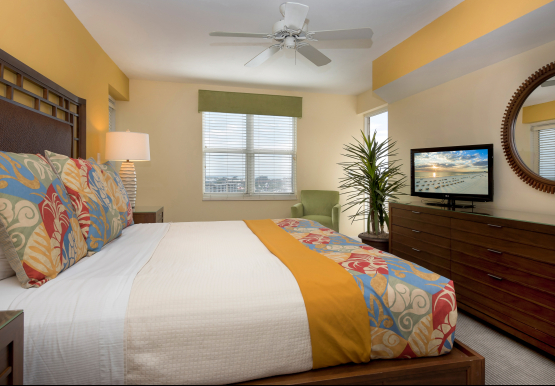 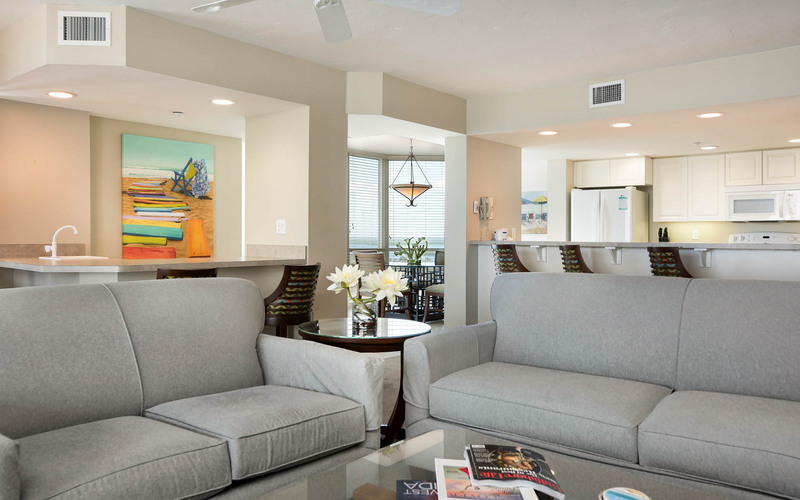 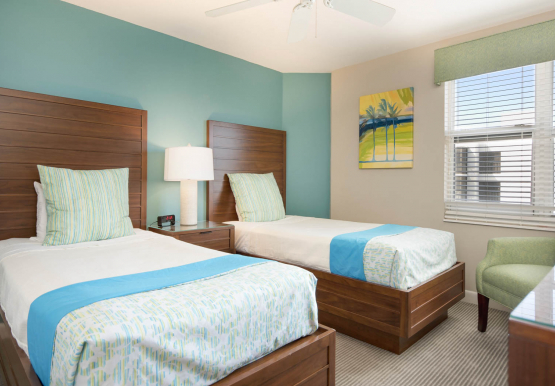 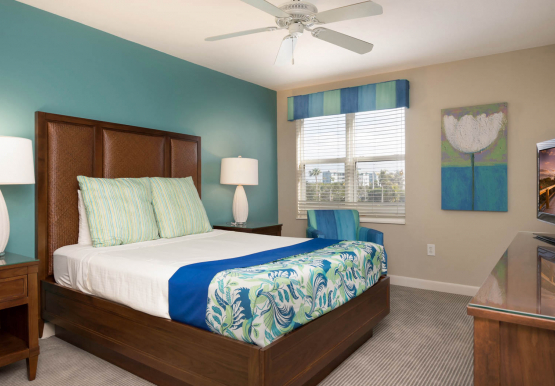 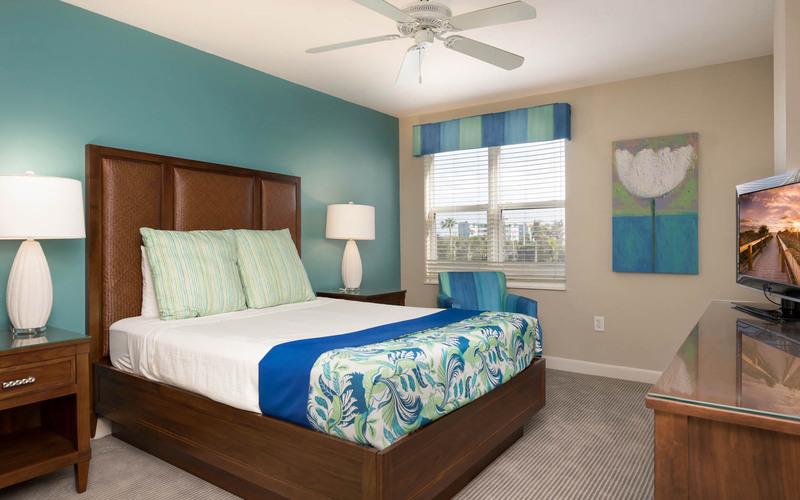 Available with beach views, bay views, or island views, our spacious one, two, and three bedroom suites are ideal for family vacations, group getaways and romantic retreats on Fort Myers Beach. 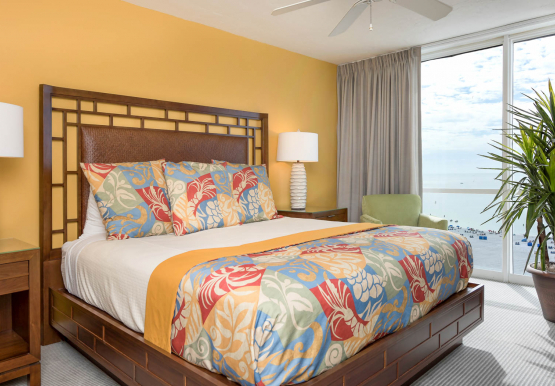 Boasting private balconies, plush bedding, and fully-equipped kitchens, we know you’ll find it easy to unwind at our beautiful beachfront resort. 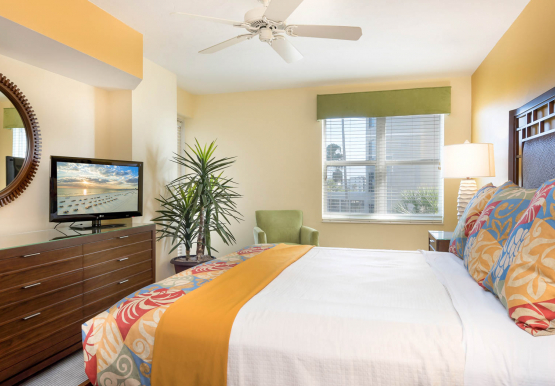 Book Now or contact our reservations team at (855) 482-1071 for further assistance. 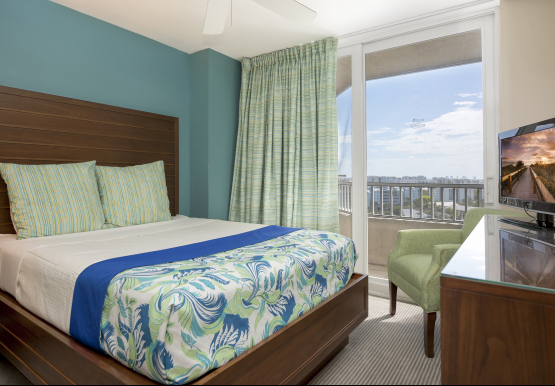 room2350 description: Two twin beds with a night stand and lamp in between. 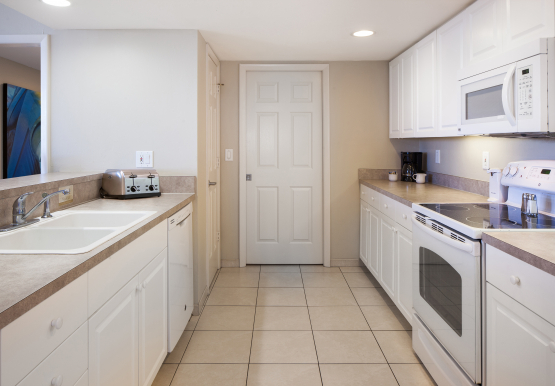 room2350 description: Full kitchen with white cabinets, a stove, microwave, refrigerator, dishwasher and sink. 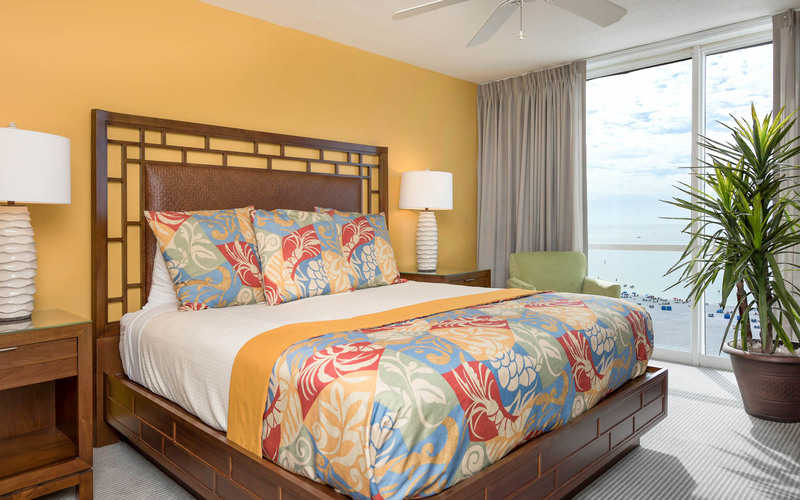 Our two bedroom beachfront suites have one king bed and two twin beds, a fully-appointed kitchen with breakfast bar, and floor-to-ceiling windows for beautiful beachfront views. 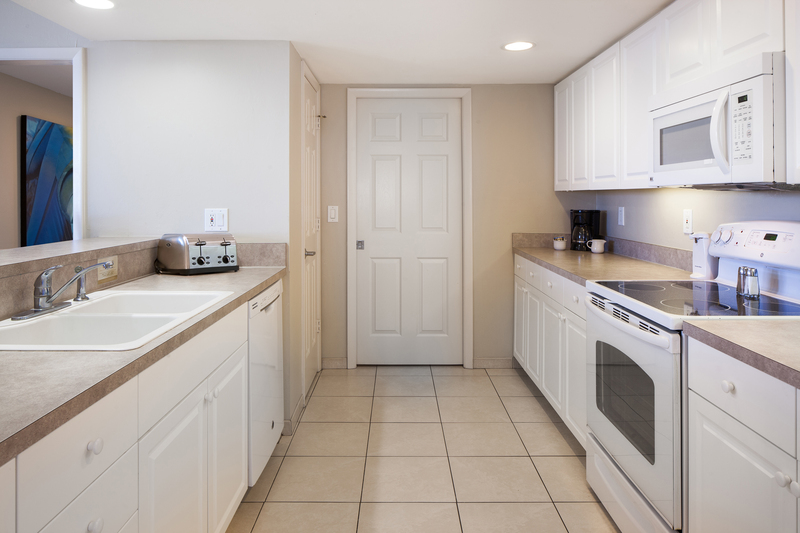 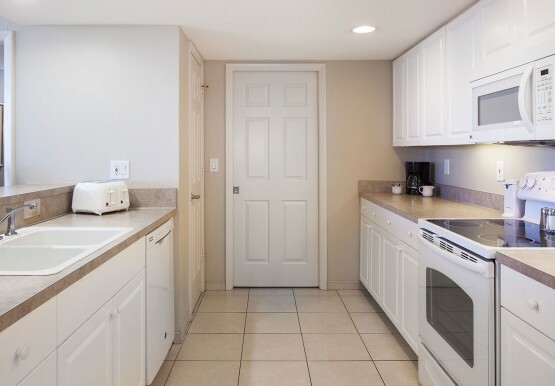 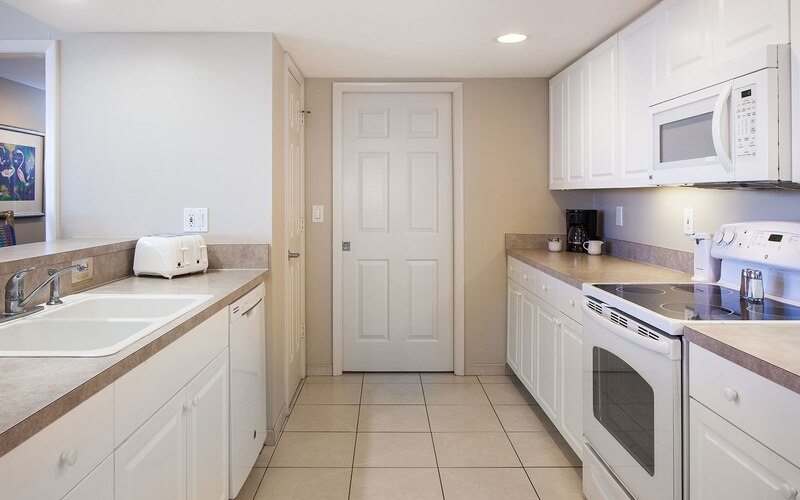 room2351 description: Full kitchen with white cabinets, a stove, microwave, refrigerator, dishwasher and sink. 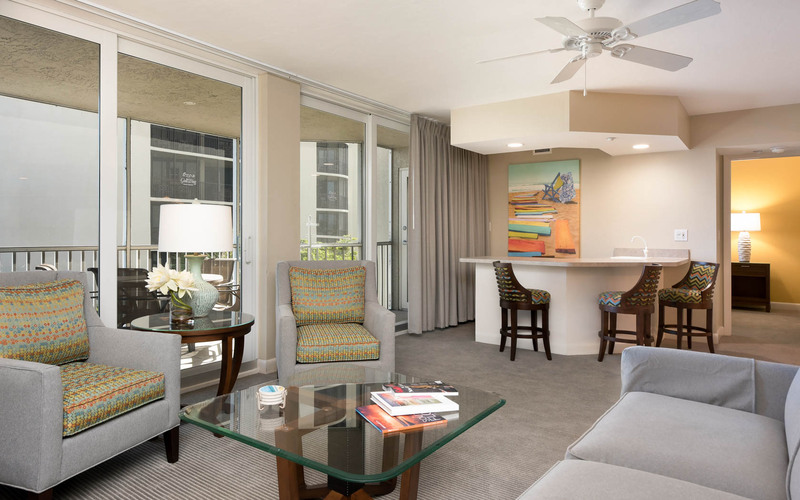 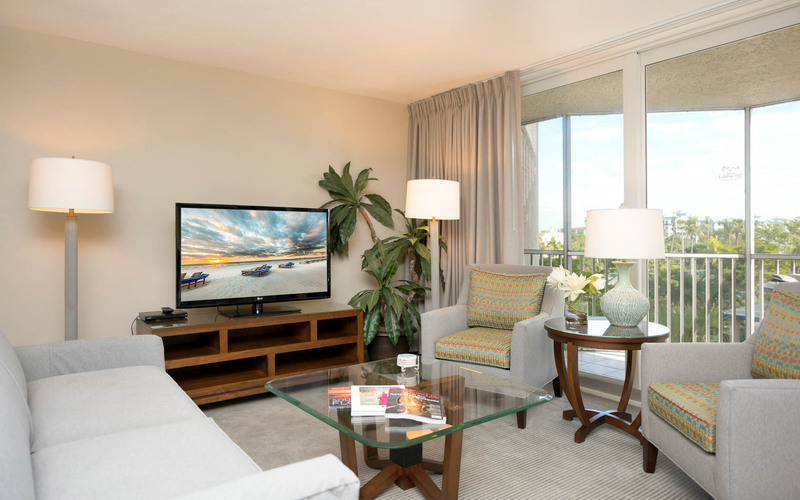 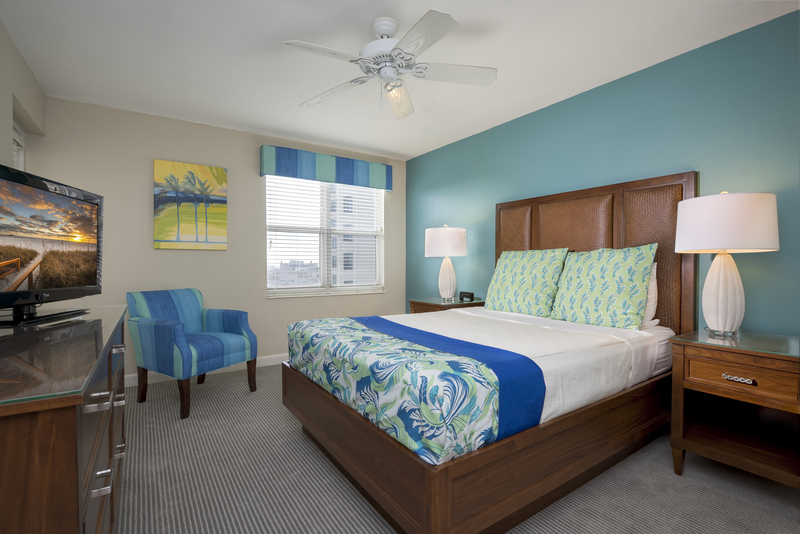 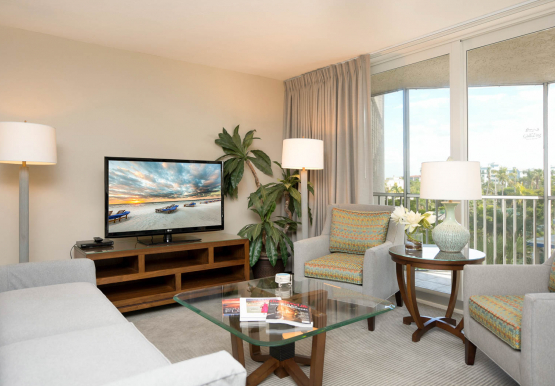 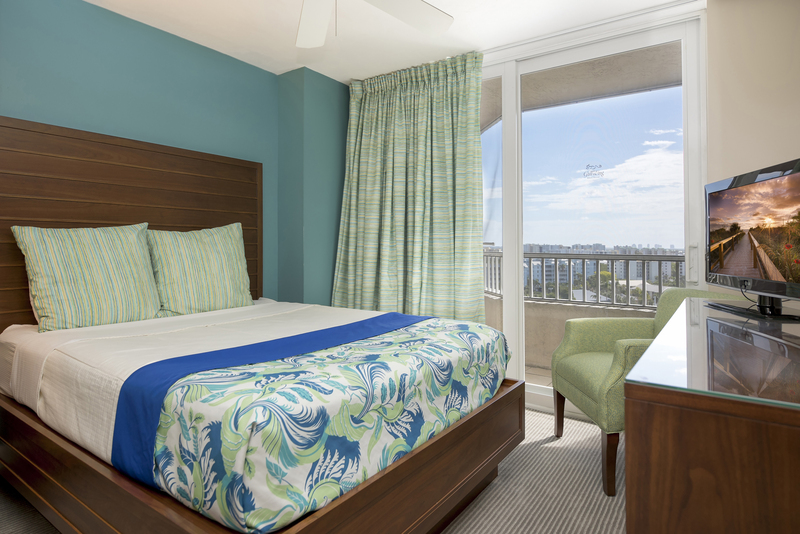 Ideal for families, our spacious three bedroom suites have one king bed, one queen bed, and two twin beds, a fully-equipped kitchen with breakfast bar, and a dining room with floor-to-ceiling windows – perfect for watching the sun set. 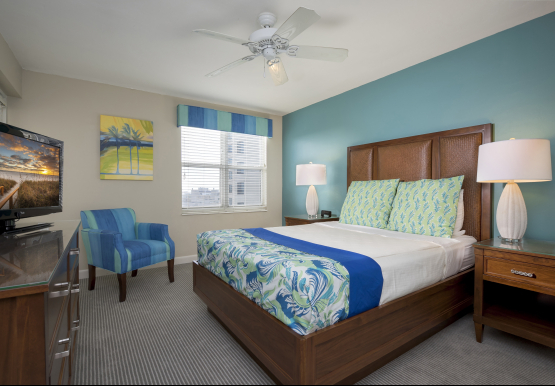 Our cozy two bedroom bay view suites have one king bed, one queen bed, and a separate living room with sleeper sofa, perfect for overnight guests. 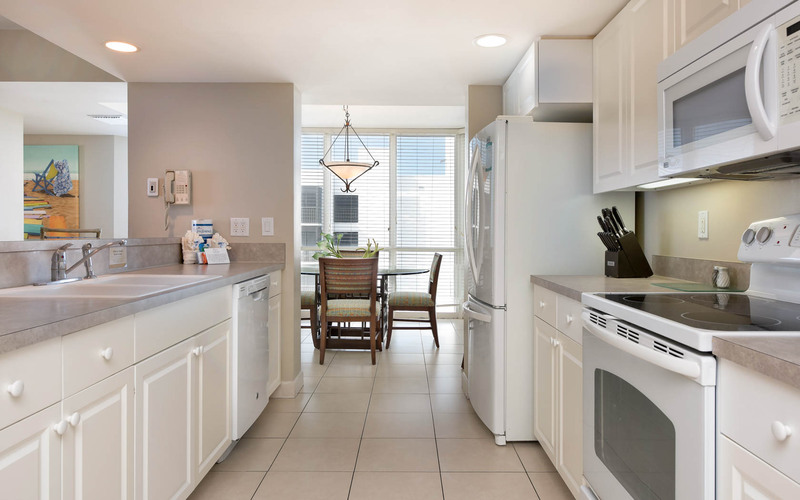 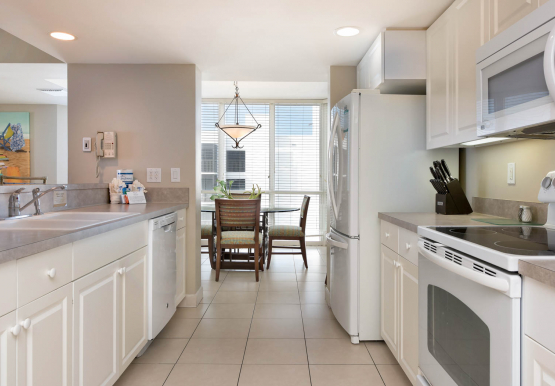 Everyone will enjoy the fully-appointed kitchen with breakfast bar and screened-in balcony. 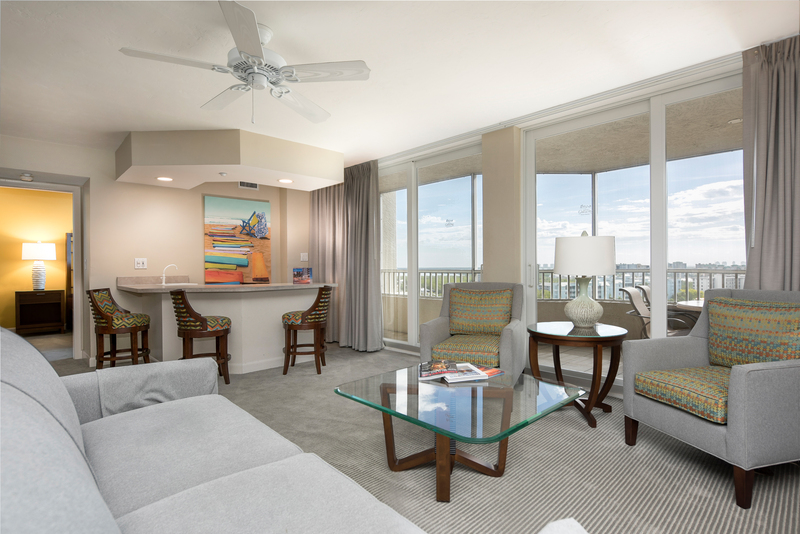 Our most spacious suites, these bay view beauties boast two queen beds, one king bed, and a queen-size sleeper sofa, while two private baths and separate living/dining areas provide plenty of room for everyone to relax and unwind. 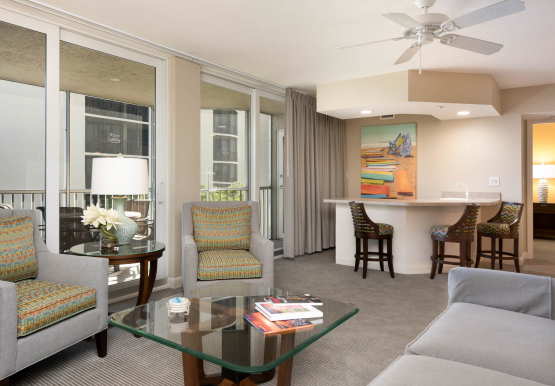 Ideal for a romantic getaway, our one bedroom island view suites feature a king bed with cozy linens and plush pillows, a fully-equipped kitchen with coffee maker, complimentary newspaper delivery, and a luxurious jacuzzi tub. 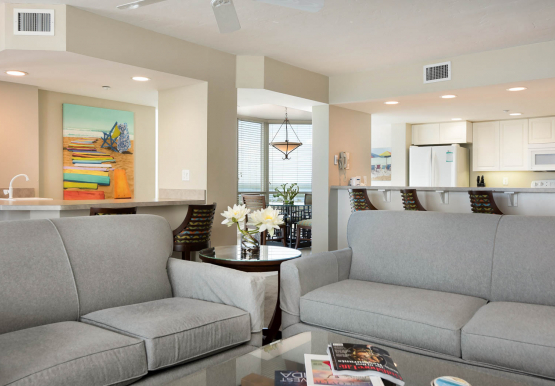 A well-equipped kitchen with breakfast bar, spacious living room with sleeper sofa, and a private screened-in balcony make our two bedroom island view suite the perfect retreat for up to a getaway with friends. 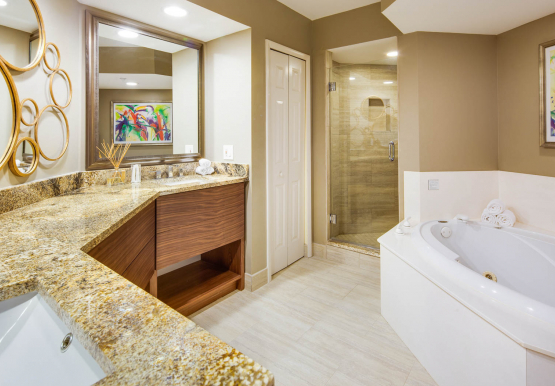 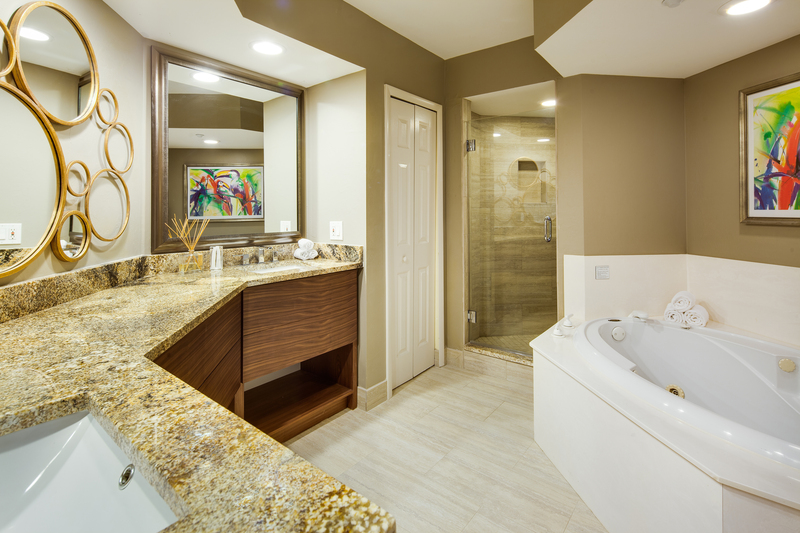 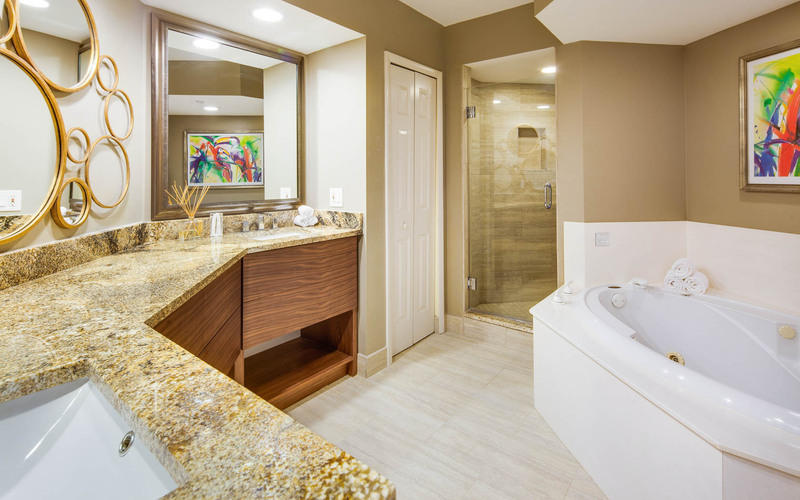 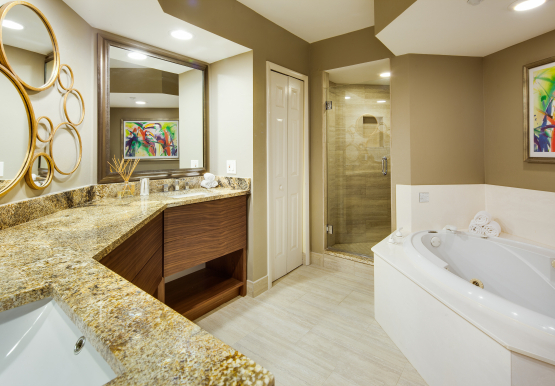 This suite includes one king bed, two queen beds, a queen sleeper sofa and two private baths. 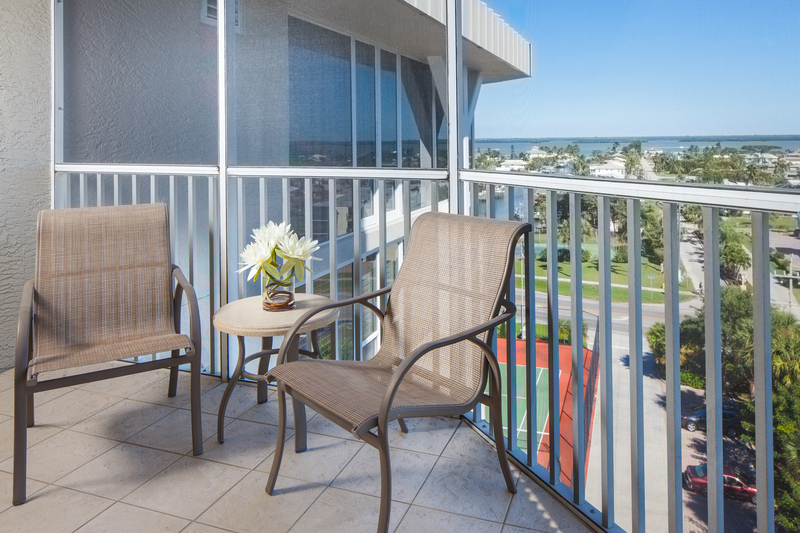 A screened balcony, fully-appointed kitchen, dining room and living room provide plenty of room for everyone to enjoy. 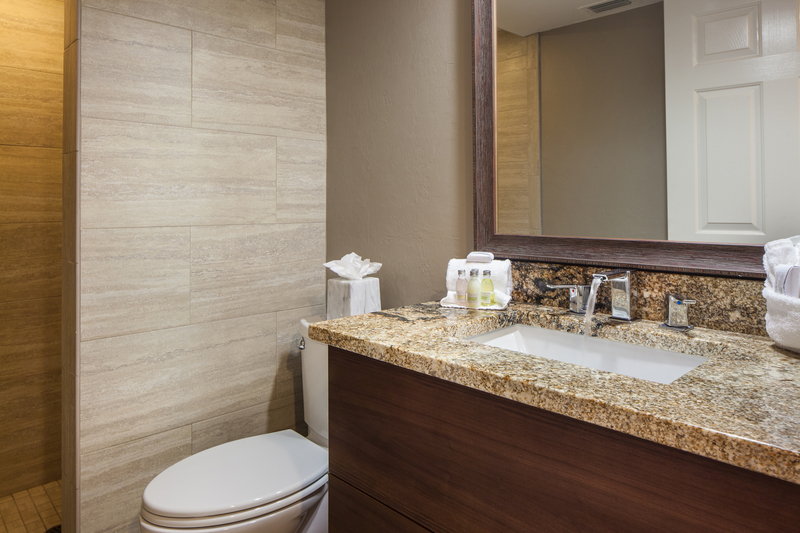 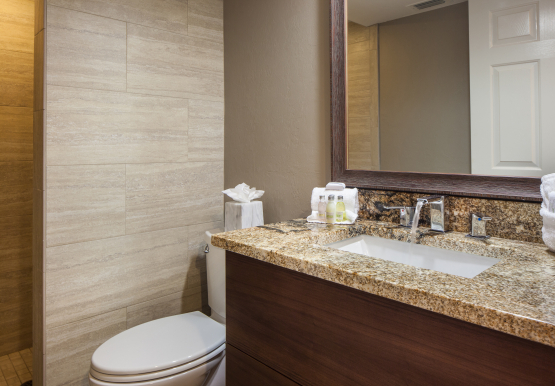 ADA accessible features may include roll-in shower, grab bars in bathroom, shower chair, ADA accessible toilet seat and hearing impaired telephone equipment. Please call our reservations team at (844) 267-6268 for further assistance. 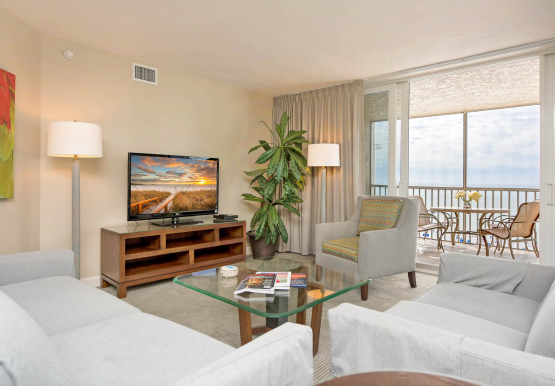 Get the group together at GullWing Beach Resort and save big on room blocks for weddings, meetings, and special events. 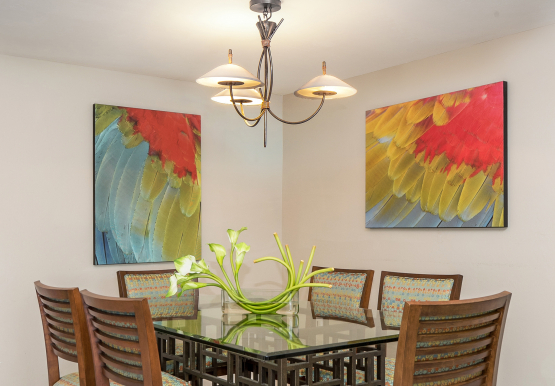 Need more event space? 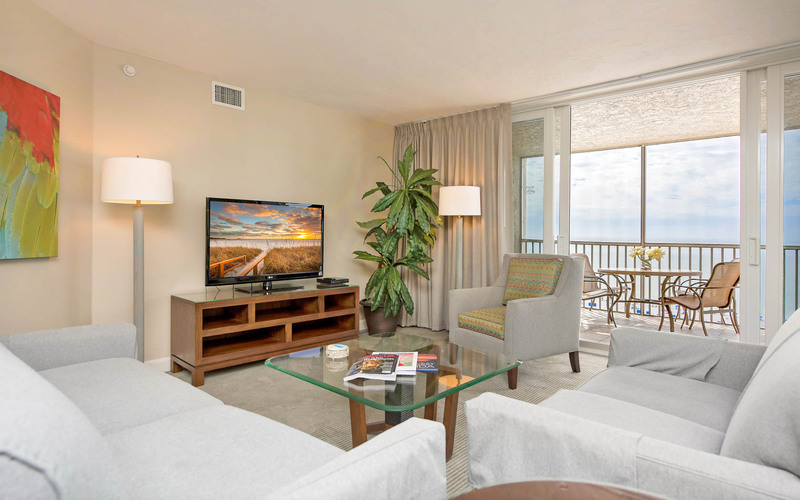 Our nearby DiamondHead Beach Resort offers flexible indoor and outdoor venues with professional catering and event staff, just steps from our resort.